Power greens are power fuel and great antioxidants to clean up the body. 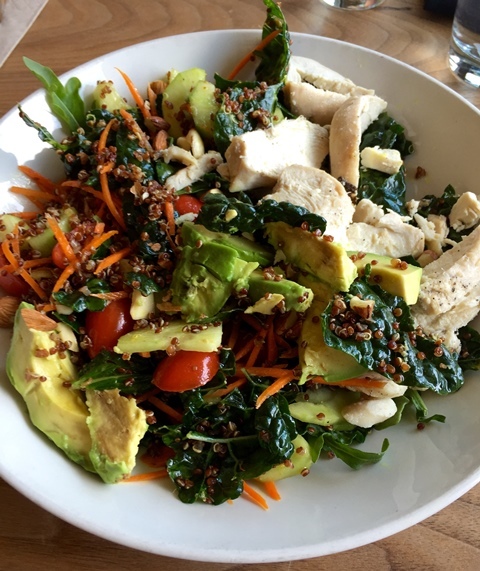 Salads are a wonderful way to get your greens and adding additional nutrients like protein, healthy fats and fiber it becomes a healthy meal all in one. Try the recipe and let me know what you think. Stay Healthy! PS why is only the tomato organic, and not all the other ingredients? Actually, they all are and I just failed to list it repetitively. My preference is to eat all organic and non-GMO as much as possible. Thanks for the post and enjoy the salad! Be well and Stay Healthy. This looks amazing!! I would add a small amount of either balsamic or red wine vinegar though, in addition to the olive oil, for a bit more flavor. Thanks! I also enjoy balsamic and red wine vinegar with my salads and may just add this ingredient to the line up here or at least as a flavor option.